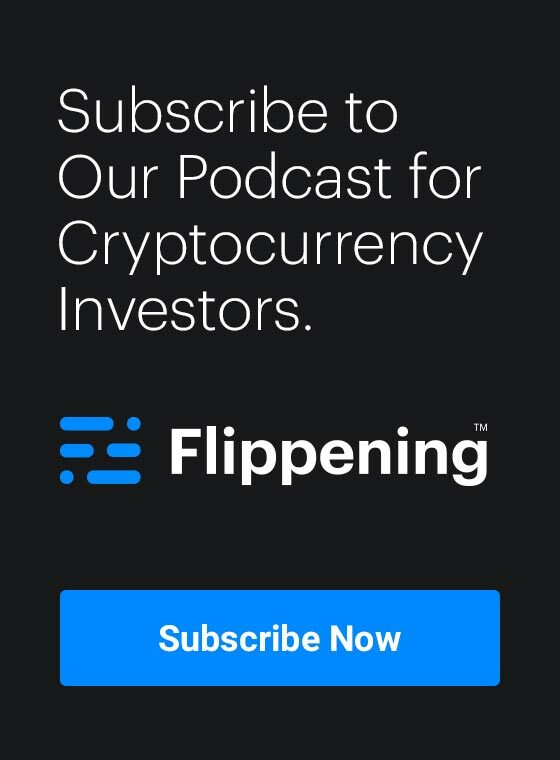 Our guest today is crypto-derivatives expert and Bloomberg contributor Aaron Brown. Aaron is the former Managing Director and Head Of Research at AQR Capital Management (the world’s second largest hedge fund with over 63 billion under management). Today’s conversation is a deep dive into the topic of crypto and bitcoin derivatives. This is a timely discussion, as CME Group, Cboe, LedgerX, and Nasdaq have all launched — or announced plans to launch — Bitcoin derivatives markets. Many believe that these announcements have fueled the huge gains we have seen in the price of Bitcoin in October, November, and December of 2017. The different types of derivatives and how they work. The differences between the crypto derivative products offered by LedgerX, CME Group and Cboe. Which of these exchanges Aaron prefers and would trust most as a trader. How crypto derivatives affect the price of their underlying assets. Why there has been regulatory approval for crypto derivatives, but no approval for a Bitcoin ETF. The SEC’s regulatory process and how their standards differ from the CFTC. Clay Collins: My guest today is Aaron Brown, former Managing Director and Head of Research at AQR Capital Management which is the world’s second large hedge fund with 63 billion under management. Aaron is also the author of The Poker Face of Wall Street. Today’s conversation is a deep dive into the topic of crypto derivatives. This is a timely discussion for a few reasons. First, the CME group which is the world’s largest regulated FX marketplace recently announced that it would facilitate trading of bitcoin futures. Many believed that this announcement has been the catalyst for the huge gains we’ve seen in the price of bitcoin in October and November of this year, and that the floodgates are about to open to a wall of institutional money about to pour into bitcoin and other cryptocurrencies. During this episode, we talked about Aaron’s thesis when it comes to cryptocurrency investing, the different kinds of derivatives and how they work. We also talk about the difference between the cryptoderivative products offered by LedgerX, CME Group, and Cboe, and how these products differ from unregulated offerings from companies like Bitmex. I should note that in this episode, Aaron reveals which of these exchanges he prefers and which one he would trust most as a trader when it comes to trading crypto derivatives. We also talk about how crypto derivatives affect the price of their underlying assets and why there has been regulatory approval for crypto derivatives to date but no approval yet for a bitcoin ETF. One of my favorite parts of this interview is where Aaron explains the SEC’s regulatory process and standards and how these standards differ from the CFTC’s standards. By the way, CFTC stands for Commodity Futures Trading Commission. Please enjoy my conversation with Aaron Brown. I’m joined today by Aaron Brown. Aaron has written a number of various astute pieces on crypto derivatives and the potential impact that they’ll have on the cryptocurrency ecosystem. Hey, this is Clay, cutting myself off here to provide some context on the word cryptoderivative. If you’re not totally sure what a derivative is, it’s a financial contract whose price is anchored to another asset. Cryptoderivatives are derivatives whose price is tied to one or more crypto assets. One might purchase a bitcoin derivative at the price of a bitcoin. Now back to our interview. Aaron, thank you so much for joining me today. Aaron Brown: Good to be here, Clay. Clay Collins: Before getting into this, I think our listeners would love to hear a little bit about your background and the path that you took to finance. Could you tell us a little bit about that? Aaron Brown: All right, I was born in 1956 and I was raised in Seattle. The late ’60s, early ’70s were a very unsettled time for a lot of people, and people had different reactions to it. In my case, I kind of became obsessed with money, not with getting rich but with kind of having enough that people left you alone. It just seems to me like people who pay their bills and cut their grass were okay. I was raised in this middle-class suburb and if anybody lost their job, lost their money which happened a lot of people in those days, they just kind of quietly moved out of the neighborhood and nobody ever spoke about them again. This struck me as just really scary, kind of twilight zone sort of thing. I was a really shy kid, but I love numbers and I loved reading the newspaper from the back where the sports page is, the financial page is, and so on, because they had lots of numbers, and I got very interested in gambling, specifically poker. I got very good at poker. And so at age 14, I walked into the basement of a local tavern and I was terrified. I sat down in a table. I took people’s money and I left. That was just a seminal moment for me. I said, okay, whatever else happens, you can find a poker game anywhere in the world, you can make enough money so you’re going to eat, have a place to stay at night, and that’s it. Then worry about money when awake. I never had any urge to pile up huge amounts of it. I just loved to know I could get enough to get by. That led to a lot of interesting gambling and black jack, and sports betting and so on, and I kind of supported myself with that stuff for a while. I was really very interested in theoretical statistics and mathematics, so I studied a lot of that. Sometime in kind of the late ’70s, I got the idea and a lot of people in my position, ’cause there are a lot of people like me in those days, people who couldn’t, makes it kind of tossed out of the mainstream economy academic world just didn’t make sense to them in that crazy time and like the independence of making money by betting with their brain. Anyway, a lot of us decided that finance was easier than Las Vegas, so we moved in to finance and we’re pretty successful there. But then we learned there’s a lot more to it. There’s a whole new level of stuff you have to learn. Eventually, this is primarily due to the crash of 1987 just taught me a lot about finance, not that the stock market could go down a lot. Financial markets could completely realign and nobody notices or says anything about it. There’s people who disappeared from my neighborhood back when I was a kid. A lot went into risk management. I went back and actually got a faculty position teaching for a few years. I also did some consulting and so on. Then eventually came back and reinvented myself as a risk manager, financial risk manager. This is back in the early ’90s when we’re inventing stuff. I then had a 25 year career in risk management, the last 10 of it as Chief Risk Officer for AQR Capital Management, a big hedge fund. Last June, I decided to simplify my life, working on a couple of books, and doing various odds and ends of things that interested me that I could never do when I was working either for compliance reasons or ’cause I didn’t have the time. Clay Collins: Do those activities include writing, stating your opinion on various financial outcomes, that kind of thing? Aaron Brown: Yeah, I’ve always had opinions and I’m often wrong, so I always warn people about that. I hope I’m right 51% of the time. Yeah, I’ve always done that. For Bloomberg mostly now. I was doing is for Minyanville for Sage. Usenet groups back in the early ’90s. Clay Collins: When it comes to cryptocurrencies and cryptocurrency investing, I know you’ve stated in your Bloomberg pieces that you are a holder of a basket of cryptocurrencies. Do you have a particular hypothesis that you’re following there? I know recently everything just seems to be up, but there’s a number of different approaches one could take. Are you open to discussing kind of publicly how you’re letting this all play out? Aaron Brown: I am, although I may disappoint people. I have no particularly sophisticated view. I compare it to back in 1995, I did the same thing with the internet as I did in 2011 with cryptocurrencies. I said, “Okay, what portion is this going to be of the economy in 20 years?” With the internet, I guessed 5% and with cryptocurrencies, I guessed 2%. And so I said, okay, I just want to keep 5% of the my assets in ’95 in the internet and cryptocurrencies at least 2%. Not only don’t I know which companies or currencies are going to survive, I don’t even know that anything that’s available now will be available in 20 years. But if I keep investing in it and I keep up with the new things as they come up and I just try to keep a diversified portfolio, roughly reflecting the value of all the things that are available in the sector, then I’ll pick up the good new stuff as it comes up, I’ll do okay. This is not a get rich quick thing. I mean, cryptocurrencies double every year for example. Somebody who puts a dollar in and then keeps it in for 10 years have $1,024. Me because I keep 2% every year, that gives me back 2% to my portfolio return every year. But that’s the kind of return I’m going for in this. I’m not a high risk, sell your house, put it in cryptocurrencies kind of guy. I’m saying, look, it should be part of your portfolio. It might go to zero, so you should put a part of your portfolio you could afford to lose. But it has enough potential. Especially it has potential in scenarios where a lot of other investments don’t do well, that it reduces your risk and enhances your long-term expected return in my opinion. I know they say I’m often wrong. Clay Collins: Essentially, holding a basket of top cryptocurrencies, an amount you’re willing to lose, and then periodically rebalancing as the rankings shift. Is that a good summary? Aaron Brown: Yeah, the rebalancing is critical. If you don’t do that, if I didn’t put 2% of my portfolio in cryptocurrencies back in 2012, which would have been essentially all bitcoin in that time, and how about I do it now would be 75% of my much larger portfolio, and I’d be totally invested, and if it went down to zero, it’d be a big financial set back. Clay Collins: You’d hold way too much Dogecoin. Aaron Brown: Yup. By rebalancing periodically, you take advantage of the volatility. Instead of being exposed to those tremendous volatility of those very uncertain asset class, you know when it goes up, you make money ’cause you’re selling on the up, and when it goes down you buy in. The more volatile it is, the better you do. Clay Collins: Right, that makes sense. Perhaps maybe buying things like NEO and IOTA when they first kind of appear on the radar, at least near the top 10, and of course you paid a lot less for them, but if they get close to the top three, it actually becomes worth quite a bit. That makes a lot of sense. Let’s get a little bit to your personal economic views. I know a lot of people in this space are fans of Austrian economics. Are you like a Mises fan? What particular philosophies do you find yourself aligned with? Aaron Brown: A lot of people say they’re Austrian economists, but then if you ask them if they’ve actually read von Mises and some of these other people, they’re really, really boring to read. The thing I’m most concerned about is how does money establish its initial value. However, it is very interesting, we’re now seeing an experiment with cryptocurrencies which is exactly the experiment these people were arguing over 150 years ago. If a new currency showed up the novo, how would you decide what it was worth? Clay Collins: It’s great to see this all playing out in a very real laboratory right now. It doesn’t get much more real than what’s happening currently. Aaron Brown: Yeah, economists complain that they can’t do experiments, but here we really have a nice clean experiment. We’re going to learn a lot about what money actually is. The first time it got invented, there were no economists around to record it. Now it’s being reinvented and we have a chance to find out who’s right. Clay Collins: Let’s move a little bit to this nice wrapper that’s being put around at least bitcoin right now to allow institutional investors to get some exposure to this, I guess starting first with LedgerX and then sort of the declaration by CME Group and I guess it’s pronounced Cboe Global Markets to allow crypto derivatives. This is a really interesting development and brings up a lot of questions about the differences between what the SEC is looking at versus the CFTC. Hey, this is Clay. Again, cutting myself off here to explain what the CFTC and SEC are. The CFTC and SEC are essentially different agencies of the US government. The US Commodity Futures Trading Commission or the CFTC is an independent agency of the United States government that regulates futures and options markets. The SEC or Securities and Exchange Commission is a government commission created by Congress to regulate securities markets and protect investors. Part of the mandate of the SEC is to protect investors and the CFTC which regulates commodities and future and options markets is generally less concerned with protecting investors. It brings up a lot of questions about derivatives and what impact they have on their underlying assets. It’s a great entry point into all of this. I also think it’s interesting to kind of track gold’s sort of progress towards becoming an ETF. I believe, although correct me if I’m wrong, that it kind of followed a similar path being traded as a commodity first and then movement towards an ETF after regulatory approval. What do you make of crypto derivatives in general in what’s happening right now? Aaron Brown: First of all, it’s very important, there’s a tremendous difference between LedgerX and Cboe and CME. Cboe and CME have announced they plan to offer cash settled derivatives, and that’s kind of like you and me betting on who would win the Super Bowl. It really doesn’t have any effect on the action of the game. We’re just exchanging cash with each other. LedgerX is actually having physical delivery which is a much bigger deal. Another way to think about this is CME and Cboe, from their name, the C in both cases stands for Chicago. These are mid-America futures exchanges commodity based, that’s the tradition they come out of. LedgerX is really a combination of the coasts, New York and Silicon Valley. It’s fintech. It’s got real financial people and real venture capital people involved. People who are kind of more native to the bitcoin space. Clay Collins: Hey, it’s Clay again here to explain what futures are. Here goes. Futures are financial contracts that obligate the buyer or seller to buy or sell something at a future date. Some futures contracts may call for delivery of the asset itself while others are settled in cash. Back to Aaron. Aaron Brown: If these things occur and you get significant trades, LedgerX is open for business but we’re really seeing test trades and maybe some people doing all kinds of speculation, we’re just not seeing the kind of volume that would mean institutions are really using it. CME and Cboe haven’t opened yet. If it attracts real institutional interest, then we’re going to see a sea change in bitcoin specifically but I think in cryptocurrency in general. It means real money is coming into the sector. My guess is it would take something like $40 or $50 billion of real money being invested to get stability and liquidity thus after. Right now, you got roughly $190 billion worth of market capitalization in cryptocurrencies, about 120 billion of which is bitcoin and the others, we see Ethereum, Ripple, and a few other big ones. But nobody spent 190 billion or 100 billion or 10 billion on cryptocurrencies. All of that is a value extrapolated from much smaller amounts of purchases. Most of the cryptocurrency in the world is held by founders, it’s held by people who bought them at very low prices or miners in large blocks. We don’t really know when or if, assuming it ever happens, if institutional money really comes in, if there’s an ETF, if it’s get put in pension fund and sovereign wealth funds and so on, what the true demand in price is. It could be very different from what it is today and it could be higher and it could be lower. A lot of people think once this connects up, bitcoin will skyrocket in price. It could, and it could go down. But whatever that price is, it will be a real price. We really have not seen a real price for bitcoin ever. It started out at about 1,300 to the dollar and that was kind of a made-up number. Then it’s really been a made-up number or something extrapolated from very low volume transactions. Clay Collins: Right, so much of the I guess overall market cap is being held that we don’t see enough kind of turnover in the asset to get a real sense of what it’s worth. Of course, nobody would be willing to come in and buy all of Bitcoin like a traditional equity acquisition of a company, but I think your point is very well taken that until we see real volume, it’s hard to kind of know where the price will settle. Aaron Brown: The sobering thing to think about if you did, if you got $120 billion together and you bought all of the Bitcoin, it would be worthless. Aaron Brown: Nobody else would buy it. That’s the interesting thing about money. It’s valuable because you need it or you don’t buy all of it. It’s most valuable if it’s dispersed into lots and lots of different hands. Clay Collins: Right, and I think that’s one of the most interesting things about bitcoin is that it didn’t start off as one of these advanced financial instruments that only people with deep pockets had access to. It started out in a pretty distributed way and it’s working its way kind of up market rather than starting up market and then maybe working its way down market, like a lot of other financial instruments or asset classes have. VC for example starts off up market, accredited investors, people like that. Then at some point, it goes public, but this is kind of going in the other direction. Maybe that’s a bad thing with some of these ICOs. Aaron Brown: One of the interesting things about Bitcoin is the founders were very explicit about that. They wanted to have it be centralized. They wanted to have it be democratized. However, I think inadvertently, they created these miners. The miners who were, originally the idea was all these hobbyist on their home computer would generate a few bitcoin, but now it turned out to be a really big business. Subsequently, many of the later cryptocurrencies have been deliberately designed to avoid doing that. Also, a lot of new cryptocurrencies gives huge allotments to the founders which actually I think destroys the value in many cases. But, you know, Bitcoin really didn’t. Although the founders are pretty rich. Bitcoin’s big. You have this big concentration of bitcoin held by people who don’t want the price to crash but who I think would be very willing to sell half their holdings at current price if they could do it without changing the price. Clay Collins: That makes a lot of sense. The price has recently spiked quite a bit. I think I saw $7,000 this morning for bitcoin. Some people believe that this has been in a large part affected by the CME Group’s announcement, LedgerX hit like this. It looks like the institutional money is coming. Then of course there seems to be a price spike at the end of the year every year here for a few years in a row. I guess my question is, as the former Head of Risk at a large hedge fund, when you think about executing a large block trade purchase of bitcoin on one of these exchanges, how do you weigh out where you want to put your money? Like LedgerX is newer, so maybe there’s a little bit more counterparty risk, but you have actually have the underlying assets held as collateral and then CME Group is much more established and well-known and probably used to working with larger funds and probably has people fly around the country having steak dinners with all kinds of people. How do you analyze this landscape and where would you execute a trade if you were with a large hedge fund? Aaron Brown: I have a very definite answer to this, but I want to make clear at the beginning, I have no financial interest in CME, Cboe, or LedgerX. I’ve actually been in all three places. I know some people who work there. I went and spent an hour with the heads of LedgerX and so on. I’m telling you what I believe not talking my book here, I would never deal with the CME and Cboe contracts as they are, if I were to do them. Their cash settled based on indices, and those indices are very unreliable. The Cboe, the big problem is it’s subject to manipulation. If you’re going to do $100 million trade in bitcoin and then you’re going to have it settled on the basis of some auction which $10,000 changes hands, there’s just way too much opportunity for manipulation. CME got around that by using a different method which is less subject to manipulation but is also more divorced from the actual bitcoin price. The CFTC which regulates both of them and also regulates LedgerX, the CFTC has traditionally concerned itself only with contracts being settled according to the promised terms. They’ve never thought of themselves as having to protect futures traders. Futures traders are supposed to be sharks who can take care of themselves. And so the CME didn’t really concern itself with will these contracts pay off in something that could actually be used by the bitcoin you think you’re getting exposure to. The SEC on the other hand has completely the opposite approach. Their mandate has only been to protect investors, to stop them from being cheated. The SEC refused to approve bitcoin ETF not because of any of the reasons most people think, like bitcoin’s a big fraud or bitcoin used for illegal activity, it was only because they didn’t believe the cash settlement prices and the Winklevoss twins who wanted to open a bitcoin ETF were going to use the same index that the Cboe is using, they just didn’t believe it was that. They thought it was subject to manipulation, the insider trading, to all sorts of abuse. If I’m going to do a big transaction, I have to do it through LedgerX. I have to be sure the bitcoin are really there. I want to make I’m actually investing in bitcoin or selling bitcoin, not getting some cash settled thing that may or may not be closely related to the bitcoin price. The flip side of that, the trouble is that means people have to deposit hundreds of millions of dollars worth of bitcoin in the LedgerX clearing house. So far, nobody seems willing to do that. Clay Collins: Right, there’s lots of custodial issues which tend to be. Aaron Brown: No, no, actually I think LedgerX is really, LedgerX understands cryptocurrency. They’re not necessarily futures experts or commodity experts, but they really have set it up right for that. But it’s a chicken and egg. Nobody wants to be the first person. If you deposit your bitcoin there, there’s nobody to trade with. You need a buyer and a seller. And until people really had faith in it or decided to do it. By the way, it’s possible the problem is there really isn’t all that much institutional interest in this. People assume that oh it’s being held back by discouragement from the Securities Exchange Commission or unfamiliarity with the product. It may just be that Wall Street isn’t interested in buying a lot of bitcoin, which would tell us something. Clay Collins: The Lindy effects haven’t gone into effect yet. Aaron Brown: I think we’ll find out in the next few months. If LedgerX stays open and there’s no technical glitches or big regulatory problems and it’s still doing a couple of million dollars of business a week, then we can say, okay, bitcoin is not going to attract Wall Street interest at this time. Clay Collins: That’s really interesting. Pricing, we could probably spend an entire hour just talking about pricing and perhaps pricing for derivatives in particular, but could you share a little bit more detail about how LedgerX does its pricing and how that differs from how CME Group and Cboe price bitcoin? Aaron Brown: LedgerX doesn’t have to price, right? LedgerX, if you want to, let’s say you want to do a day ahead swap to buy bitcoin, you agree on the price with a seller and you deposit the funds and the seller deposits the bitcoin and LedgerX stays out of it. CME and Cboe have to agree on a price at delivery date ’cause they’re cash settled. If you buy your bitcoin, let’s say you buy bitcoin at $7,000 and at settlement time, the market price for bitcoin is 8,000, you get paid $1,000. You don’t get the bitcoin, you get paid $1,000 because the price went up. But somebody has to figure out what that $8,000 is. Bitcoin and CME both use essentially an auction process. Cboe uses a New York State Exchange that just conducts an auction. So, it goes, everybody who wants to buy or sell bitcoin, come here. The problem is, that auction is pretty small. If you’ve got hundreds and hundreds of bitcoin were being transacted in that auction everyday, then you got some faith in the price, but if it’s $2,000, then who knows. CME is using a London company that does a much more sophisticated international lots of exchanges. It does have analytics on it so it’s not as subject to manipulation. It’s more like the LIBOR rate. As you may know, we got some problems with the LIBOR rate. It is not subject to manipulation as easily in the sense of some individuals coming in and tainting the auction, but it’s not as transparent. It’s done by this group of people in London and they could have various motivations or beliefs that are not widely share, you don’t really know. Clay Collins: Is LedgerX, does it have a USD to BTC pair or is it purely BTC to BTC? Aaron Brown: The basic product of LedgerX, I mean, LedgerX got in the news for offering options on bitcoin, but a really important product from an institutional point of view is they have day ahead swaps. If you want to buy or sell bitcoin and you don’t want to go to a bunch of exchanges which may be unregulated, you can do one bitcoin here and five bitcoin there, and you’re not really sure about the money, you might be dealing with drugs dealers or terrorists, you have no idea, if instead you go to bitcoin and do a day ahead swap, you know the cash is going to be there the next day and you know the bitcoin is going to be there the next day, and you know exactly who you’re dealing with. Clay Collins: Let’s back up and discuss derivatives a little bit. I’ve heard quite a few financial purist just go on tirades about derivatives. Derivatives were blamed, especially unregulated derivatives were blamed in part for the housing collapse of 2008. Why derivatives and what are your view on derivatives and the utility provided by them in this use case? Aaron Brown: Yeah, sort of go back to Warren Buffet’s, 2002 famous for an announcement in his Berkshire Hathaway annual report that derivatives are weapons of mass destruction. They gave a number of reasons, all of which only apply to certain types of derivatives. He was absolutely right about those. Those are the kinds that cause disaster. They’re the ones that are longterm ones for which the settlement price is unclear and are not collateralized. Now, the kind of derivative we’re talking about for LedgerX and both CME and Cboe are completely collateralized. LedgerX is 100% collateralized. Cboe and CME have very good daily processes for ensuring collateral is there. The LedgerX one has no problem with the price setting because it actually got physical delivery. Cboe and CME do have some problem of price but because it’s only a one day issue, I don’t think that that’s going to be a real problem. I think what derivatives are going to do for cryptocurrencies is there’s kind of two big users for them and they kind of all said they could trade with each other. You got miners who hold huge amounts of bitcoin. They like the upside, they want to hold bitcoin, they believe in bitcoin. They actually have many of them that I talked to have more than 100% of their wealth in bitcoin. If bitcoin went to zero, they’d be in debt. But they need cash and they need cash to run their operations, to buy food and so on, and they want to arrange lines of credit. It used to be not too hard to to do that, but since China cracked down, it’s very hard. What they need to do is they need to buy longterm puts. They need somebody to come in and say, okay, I’ll buy your $50 million worth of bitcoin. If the price falls enough, I’ll pay at least $5 million for it. ‘Cause then they can take that put and they can go get a $5 million line of credit and they can run their business, but they can still keep all their bitcoin and all the upside, they just pay a premium to this person to basically guarantee their loan. On the other hand, some of these big bitcoin holders, so you got $50 million, you’ve never really expected to have $50 million your whole life. The rest of your portfolio is worth maybe $100,000. But you love bitcoin and you want to keep it. But you’d sell some of the upside. You’d tell somebody, look okay, I’ve 50 million in bitcoin. If it goes over 75 million, you can have everything over 75 million. I don’t care, if it goes to 75 million, I’m so much richer than everyone, and to me, that’s great. And you’ll pay me a million dollars through that option. That’s a million dollars I can go and buy a nice house, pay off my credit cards, whatever. Aaron Brown: I think these are the sorts of people who would have tremendous demands for options. I think there are plenty of investors who would like to take the other side. There are plenty of investors who would like to buy in the upside of bitcoin without putting up too much cash. And there are plenty of investors who are willing to guarantee the downside in order to get a nice yield. Clay Collins: What do these derivative products, how do they open up the market above and beyond what an exchange like maybe Gemini does? Gemini is in New York, it’s regulated. They’re a custodian. You can do very large trades on it. From my perspective, maybe not from an institutional investor’s perspective. Why is an ETF needed? Why are derivatives needed? And what’s the incremental value that they provide? Aaron Brown: First of all, I don’t want to say anything against Gemini. It’s a nice exchange. It does about 3% of global volume. But you say it’s regulated, yeah, it’s regulated by the New York State Department of Financial Services, and with all due respect to New York State, they’re not the A list regulator in this regard. The reason they went to that one instead of going to the Securities and Exchange Commission who would not have been so accommodating with them. I would call it sort of borderline regulated. And you can’t really do large size. If you want to do large size on Gemini, you have to find somebody on the other side. You have to agree to transaction off the exchange and then go execute it. By the way, that’s a good portion of LedgerX’s business. That business has moved to LedgerX where you get, you settle on the clearing house, but you don’t really use the exchange to find a counterparty to the trade. If you want to do, so, I don’t know if you invested, do you invest in bitcoin personally? Clay Collins: I do, yeah. Aaron Brown: Do you have a Coinbase account or something like that? Clay Collins: I’ve got several accounts. Aaron Brown: Okay, fine. I won’t say you have to, you know, PhD in Computer Science to do it, but you need to know something about cryptocurrency keys and cybersecurity and so on. Lots of people don’t. Also, it’s a little inconvenient. If you were doing trading where you wanted to move some money from your Schwab IRA to this and back and forth quickly, it’s more cumbersome than switching between two mutual funds. One measure is the Bitcoin Investment Trust, the GBTC, which trades, has traded at a premium move as high as 140% over the bitcoin they actually own. People are willing to pay a big premium to own these things in convenient, regulated financial form that they can trade and buy and sell just like other financial instruments. That’s the use case for individuals. For institutions, there’s all kinds of things that are a real headache if you want to put bitcoin in your portfolio. You have to value it. You have to pay taxes on it. You have to know the price. You have to be able to buy and sell if you need the cash. You have to know your customer. You can’t transact with, you have to know who you’re trading with. And for all these things, you really need a clearing house. It is true, there is a company called DRW that will assemble, if you’re an institution. You say, okay, I need $100 million of bitcoin. They will assemble a portfolio for you and deliver it, but that’s a pretty cumbersome process compared to what buying stocks and bonds. LedgerX and CME and Cboe are trying to make it as easy to transact in bitcoin as it is for stocks, bonds, commodities. Clay Collins: What are the different types of derivatives that can exist? I know LedgerX does swaps. CME Group is offering futures contracts. What else could exist and what do you think isn’t planned for yet but perhaps should exist? Aaron Brown: LedgerX has day ahead swaps. They’re really a clearing facility rather than what we’d normally think of as a derivative. Clay Collins: Clay here to explain what day ahead swaps are. A swap is a derivative contract through which two parties exchange financial instruments. For example, one financial instrument could be the US dollar and that could be swapped for another financial instrument which would be a cryptocurrency. A day ahead swap is where the price is agreed to on a given day and the swap occurs the following day. Aaron Brown: They also offer calls and puts. CME and Cboe are initially coming with futures. It will be longer term futures. I mean, I have no doubt they play on stock to puts and calls as well. I think there’ll be considerable demand for certain kinds of swaps. For example, let’s say you’re a bitcoin investor but you want to earn, you know, bitcoin doesn’t earn, doesn’t pay a dividend, doesn’t pay coupon payments like a bond. You just hope it goes up in price. You could use it, you could sell calls against it and it would be very convenient to have swap strip, a swaption, so you earn a steady return holding bitcoin in return for which you gave up some of the upside. Other people would like a similar product in the downside of a swap, so they could maybe put $10,000 in bitcoin, use it for transactions and such but be guaranteed they could only use, sell it for $8,000 or something like that if the price of bitcoin went way down. I think these kinds of things would allow people to use bitcoin and it trims the volatility from a disadvantage. One of the reason people don’t like using bitcoin is the volatility. But if you’re selling options, you’re actually gaining from that volatility. You’re actually paid a higher yield to hold it and it I think would stabilize the price, would make bitcoin much easier to use as a currency, as actual medium of exchange or as a storing value for that matter. Clay Collins: Let’s dig into regulation a little bit. What do you think are the kind of differing agendas of the SEC and the CFTC? Again, I was saying that gold ETF was approved in the 1990s, is this just kind of a stepping stone towards SEC approval? Three questions, but you can address them separately. What are the differing agendas of the CFTF and SEC? Is this a step along the way? What happens to these derivatives markets when an ETF opens? Is there a potential that people just sort of flee them and kind of go towards SEC regulated products? Aaron Brown: I’m talking in general here. CFCT, think of them as like the boxing referee. They just want to make sure there’s a fair fight. They’re not interested in protecting the fighters, they just want to make sure that things get fair. The SEC, think of them as they’re the ones who want to make sure nobody gets hurt. They don’t really care, you know, they’re not so concerned about is there going to be a fight at all or is it going to be fun for the fans, anything like that. There’s a third regulator here, two which we talked about, which is the fed or the Department of Treasury or you can think of it as the US government. I’m not really just talking about the US here. I think in every country in the world, every developed country anyway, you have the same three sorts of consideration. The CFTC says, can we treat bitcoin as a commodity? Is it well-defined enough that people can make bets on it and we know how to settle on them and we’re not going to get all kinds of clearing house collapses and bankruptcies and lawsuits? Is it something people can bet on? We’re talking about experienced people who can look after themselves. We just want to make sure that the gain is something that can be well-defined. I think that battle has been won. I think the CFTC has come out and said okay, you can either, if you do what LedgerX did and you do 100% collateralization or if you’re a well-organized exchange with policies and procedures, with an infrastructure we trust, you can treat bitcoin just like a commodity, just like it’s gold and oil or anything else. It’s a real thing. If you wanted to set up a futures contract in monopoly money, they wouldn’t let you do it. It’s not a real thing. Anybody can create it. As long as it’s well-defined, the CFTC has pretty much said they have no problem with it. I think this is generally true of exchange regulators throughout the world. In terms of investor protection, the SEC kind of who can invest in it, the SEC is never going to stamp out bitcoin or outlaw it, but it might say, look, you really can’t use this in institutional portfolios. You can’t have an ETF if you put it in pension funds. You’re going to have all kinds of, you know, it’s not illegal, we can’t stop you from doing it, but you’re going to run into all kinds of problems. Unless SEC comes and says okay, here’s what bitcoin is. Here’s how its regulated, here are the rules. In terms of know your customer. In terms of market manipulation. What’s insider trading with bitcoin? Nobody knows. All of these things you have to define for an institution to be really comfortable holding it. Again, this is an international thing. If the SEC defined it, that would probably be taken as an international standard. But it’s possible the SEC will decline, but you’ll be able to trade them as freely in London or Tokyo or something like that if those regulators are more accommodating to it. Those regulators have basically so far said no. They have basically, no regulator has stepped forward and said okay, we understand bitcoin, it can be traded in a protected regulated space where individuals can buy it ad you can put it in pension funds, things like that. That’s not required. There’s no law that says you can’t do it without that approval, but institutions are not going to go forward without some regulatory encouragement. Finally, the sort of Central Bank, the fed, the government, the Department of Treasury, the Department of Justice, their concern would be that the coin can undermine currency regulation, can help tax evade, and can help illegal transactions and so forth. So far, basically government seemed to be saying it’s okay. They have taken enforcement actions. They shut down Silk Road, they put the founder in prison for his life. They’ve taken enforcement action against individual users of it. But countries like Argentina, Venezuela, where a lot of the citizens are using it because their local currency is basically very unreliable. Those countries have pretty much allowed it and they seem to be taking attitude that better to let people have this safety bell for it. At the moment, it seems like that third leg of regulation says bitcoin is okay, but in the long run, that’s the most important one. In the long run, if countries really decide bitcoin is illegal, bitcoin is a way of evading taxes and currency controls and all the other things we want to impose, then, bitcoin definitely becomes a sort of an outlaw currency. That makes it more valuable to some people. The more government crack down on things, the more valuable it is to be able to evade those controls but it also means probably 95% of people are not going to dare touch it because it could screw up the rest of their lives. You almost have to kind of decide are you on the underground economy and use bitcoin or you’re on the above ground economy and you avoid bitcoin. Clay Collins: Right, are you a cypherpunk? Are you a crypto anarchist? That kind of thing. Aaron Brown: Those are people who would do it for political reasons perhaps, but there are also people who want to do it for they don’t want to pay taxes or anything, not for political reasons because they don’t want to pay them. Or they want to do transactions that governments make illegal. Clay Collins: I like your characterization of the three referees here or the three regulators and their different vantage point. Kind of putting on your hedge fund manager hat here, you go to something like LedgerX to get exposure, but then an ETF opens up or an OTC opportunity opens up that’s maybe SEC regulated. How do you think of how you’re going to make your bets and where they’re going to be placed? Aaron Brown: I would certainly consider using an ETF if it were available, but I would probably go if I were running a hedge fund, I’d probably go directly to LedgerX. The question I’m going to ask is, I mean, there’s pros and cons. An ETF would probably be easier to trade than actually executing trades on LedgerX. I’m assuming these are going to be physical delivery ETFs. That’s to me the most likely form somebody would create them in. These are to me holding their bitcoins somewhere. Some custodian. Aaron Brown: I’m going to say, listen, do I trust the custodian for the ETF more or less than I trust the clearing house at LedgerX? It’s also quite possible these ETFs would actually use LedgerX. They would love to use, if I were running an ETF, my preference would be to use the CME or the Cboe because those are going to be the cheapest and the easiest for me, but at the moment, the SEC just said those, the settlement mechanism they use is not acceptable for an ETF. If I’m buying an ETF, I wanted to be holding a physical bitcoin or I wanted to have contracts at LedgerX or some other physically settled exchange. When you do a hedge fund, you typically, first you decide what you want, your economic exposure. Then you decide, okay, what’s the cheapest way to hold it? Or what’s the easiest trading way to hold it? I think ETF and the futures would probably compete with each other in market in that regard. As for an individual, the ETF is clearly the vehicle of choice. Also, people may at some point offer a couple of mutual funds. Those would be if people start doing diversified currency investments, I think those would probably come out in mutual fund format. Clay Collins: Right, like maybe something similar to the MetaStable hold index. Clay Collins: Aaron, you’ve been super generous. I think there’s probably few people in the world who could have answered these questions as coherently as you have. You’ve obviously spent a lot of time thinking about this. If people want to get in touch with you and follow up with maybe additional questions or to connect with you, what’s the best way to reach you? Aaron Brown: There’s two ways, you can certainly email me, but something that might be more productive for most of you, my Bloomberg columns have comment sections and if you comment there, I do read them and I do reply if I have something to say about it. But you also reach a lot of other people who are interested in the same things and you can see a lot of other opinions on that as well. It’s probably a better use of your time to put your ideas forward that way. Clay Collins: Fantastic. Thank you for joining us, I am really grateful. I look forward to this episode going live. Aaron Brown: Thank you very much Clay.